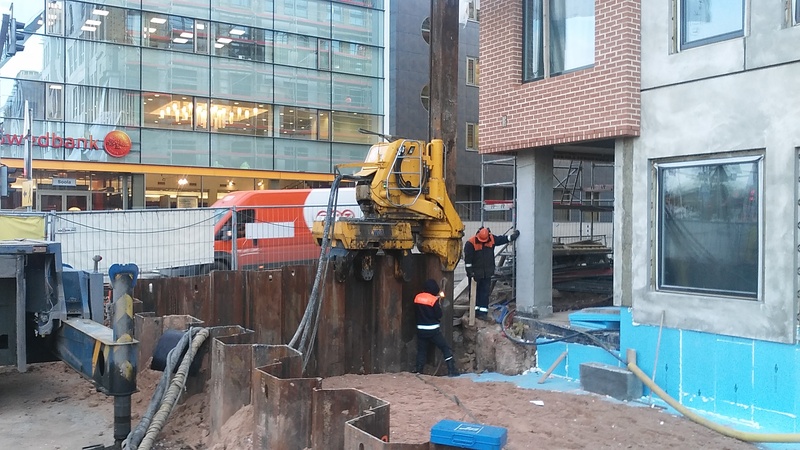 Sinking of a sheet-pile wall without vibration. Element length 4-8 meters. Total volume of the work 50 meters.